Come out for a blast back in time to 1989. 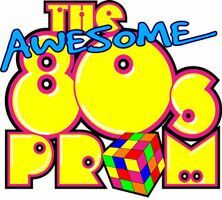 The students of Mason Drama Club will be performing The Awesome 80's Prom in the Black Box Theater for two weekends in a row. Oct. 19 - 8PM, Oct. 20 - 3PM and 8PM, Oct. 26 - 8PM and Oct. 27 - 8PM. Tickets available at MasonDrama.com for $10/adults and $8 for students and seniors. You will want to wear your best dress or fashion from the 80's. See you there!